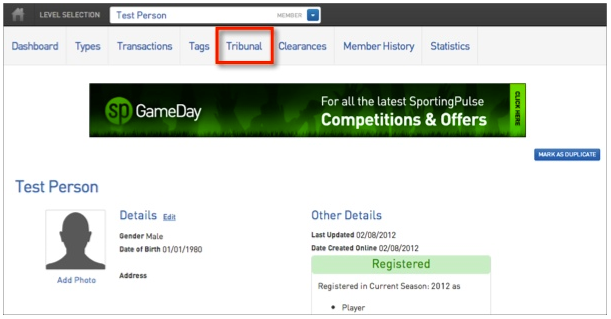 Tribunal records are used to record charges, offences, suspensions and/or outcomes of a Tribunal Hearing relating to the member participating in a competition or sport. 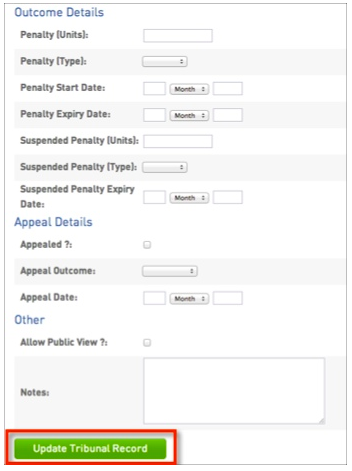 Depending on the sport, Tribunal and related suspensions or sanctions may apply State-wide or Nationally. 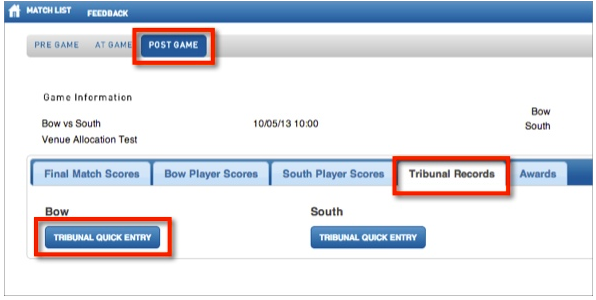 The list of charges or sanctions can be configured for a Sport, but can also be configured per Association. 1. Hover over Members and click List Members. 2.Choose the specific member you wish to edit. 6. 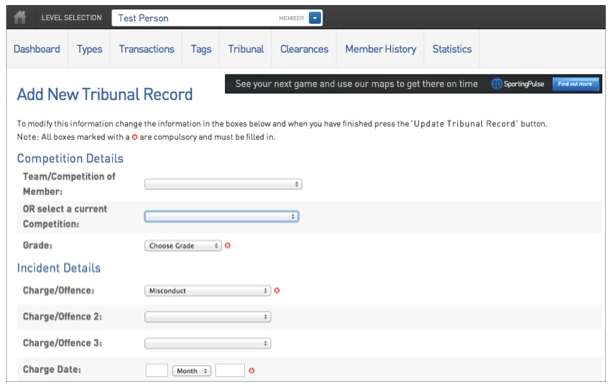 Continue to complete the Tribunal Record by adding Tribunal Outcome Details, any Appeal Details (which can be added at a later date).